Let boaters know you exist! Advertise your Marina today and get results! What do you get for less than the cost of a cup of coffee a day? 1. Exposure on the #1 California boating facility locator on the Internet. Created by boaters for boaters. 6. Best of all your ad is out there 24 hours a day 7 days a week for about 6¢ a hour! 7. NEW! 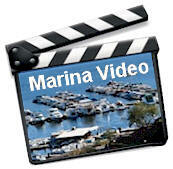 Now a Marina video will be created for your harbor at no additional cost. What will my Marina Ad look like? In a nutshell if you wish to advertise your Marina on this site the investment is only $49.95 a month. This would include all the above benefits at no additional cost. The only 'catch' is this rate is a monthly rate and must be prepaid for a year. There are discounts available for multi-harbor listings. Arrangements for your free video and photo shoot will be made shortly after receipt of full annual payment. Give us a call at 1-800-914-8997 for further information. If you have a Marina, Harbor or Yacht Club and desire a link that would be located directly on your specific harbor page, that service is now available for only $10 a month. Please fill out the form below, be sure to click Link Us and put your website address in the Comments area. An invoice will be sent to you for the yearly amount. For further information to sponsor this entire website, (advertising that would be shown on every page). Please contact us through our parent company; Recreational Research Company at 800.914.8977 or 707.645.8997. Get more site sponsorship information here. Yes I Want to Advertise Here! Please fill out the form below and our friendly staff will contact you shortly. Note: If you desire you may also mail the completed form with your payment to: Recreational Research Company, 3505 Sonoma Blvd., Suite 20-174, Vallejo, California 94590.